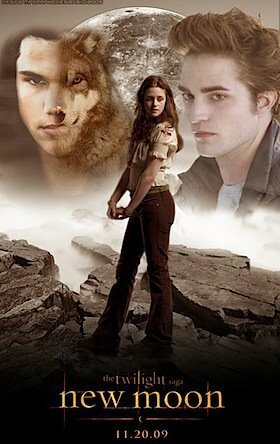 "NEW MOON! 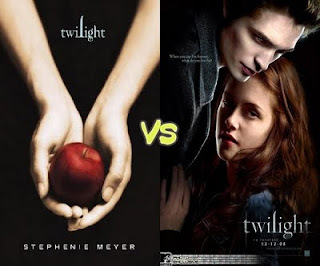 HERE I COME"
I just keep watching "Twilight" DVD last Saturday and i tracked what so different between the reading and watching. Of course, there's a different from the book itself. While people keep debating about it, i find some similarity inside the story. It's the dialogue and i think it's too powerful inside the movie. Especially when kept slip from mouth of a "pale" person aka the vampire.woooo.. Honestly. i haven't read "New Moon" novel yet but i still want to watch "New Moon", a sequel from "The Twilight Saga".. lucky i am..i juz got a free tickets for it on 27th November, 9 pm at 1Borneo and sponsored by THE BODY SHOP. What a lucky i am to have this honour. Maybe they want me to see the strength between a natural beauty and the great environment inside the movie. Great article as for me. I'd like to read something more about this topic.